Prysmian Group UK celebrates 100 years of continuous production in the country. 20th January 1914 saw Pirelli General Cable Works Limited sign the agreement to build its first cable factory in the UK. 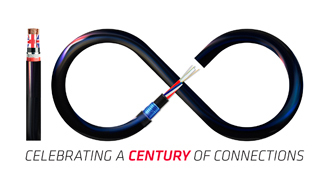 100 years later the company - now called Prysmian Group - is not only the largest cable manufacturer in the world but, unlike its competitors, continues its commitment to manufacturing in the UK. To celebrate 100 years of continuous production the company will be running a series of commemorative events at its various sites around the county throughout 2014. The first of these was held yesterday in Southampton near the site of that very first factory. Hosted by The Right Worshipful the Mayor of Southampton (Councillor Ivan White), himself a long-time employee of the company, the event reunited many of the local people who have worked for the company over the last century, reflecting the importance of Prysmian to the local community. His Excellency Pasquale Terracciano, the Italian Ambassador, gave a short address. He referred to the fact that the Southampton factory was one of the first significant investments in an overseas facility that had been made by this important Italian organisation. The Ambassador was keen to urge the UK to continue to play a major role in Europe and warned against any retrenchment behind national borders. In his speech, Prysmian CEO Paul Atkinson reflected on the history of the company and also referred to the ground-breaking projects with which it is currently involved: the installation of fibre optic broadband cable to every house in Jersey; the Western Link power transmission project; the increasing involvement in renewable energy. Mr Atkinson also outlined the level of investment in UK manufacturing: "You need be in no doubt of Prysmian’s commitment to UK manufacturing. Last year alone we invested £15 million in our UK facilities, including a £2m project to develop a state-of-the-art testing laboratory for high voltage power transmission cable here at our Bishopstoke plant, opened by the Prime Minister last February. "As our competitors have opted to move their manufacture overseas or to withdraw from the market completely, so we continued to invest here, assuring our customers of a reliable supply of high standard product delivered from local factories." The centenary year will see each of Prysmian’s four manufacturing sites holding open days for all staff as well as a series of customer-focussed events. A particular emphasis this year will be placed on education and recruitment. The objective is to encourage students of all ages (including schoolchildren) to understand what manufacturing is about and to appreciate that engineering and technology-based industry offers a rewarding career path. "We have inherited an impressive legacy of innovation, technical excellence and, above all, enthusiasm. If we are to maintain our position within our market and within the communities in which we operate it is up to us to ensure that this enthusiasm is passed on to the next generation", concludes Mr Atkinson. The picture shows (from left), Paul Atkinson, CEO Prysmian Group UK, His Excellency Pasquale Terracciano, the Italian Ambassador, 90-year-old Dennis Bray, formerly Commercial Manager for Pirelli Construction and 19-year-old Will Harris, Apprentice in the Marketing Department of Prysmian Group UK, The Right Worshipful the Mayor of Southampton (Councillor Ivan White), and the Right Worshipful the Mayor of Eastleigh Councillor Malcolm Cross. (Dennis Bray and Will Harris were asked to cut the centenary cake).